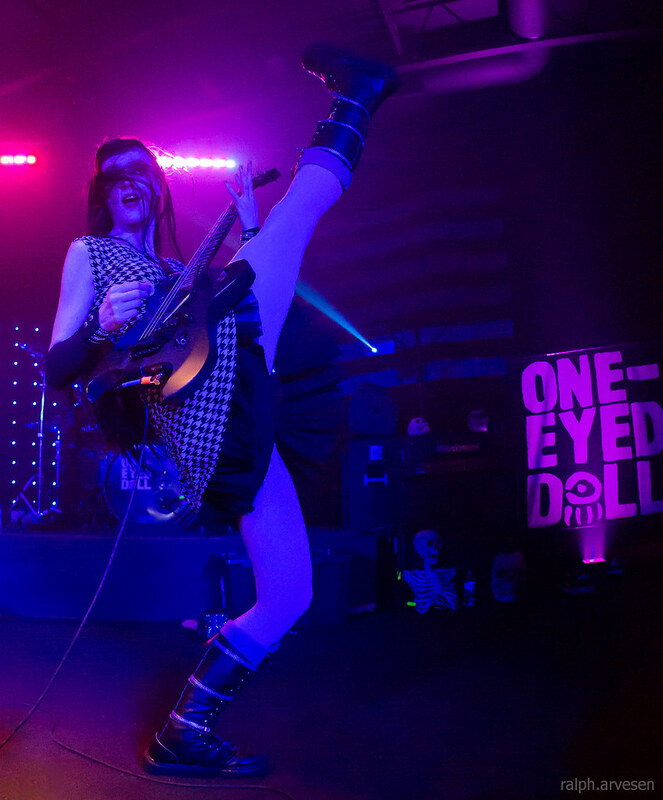 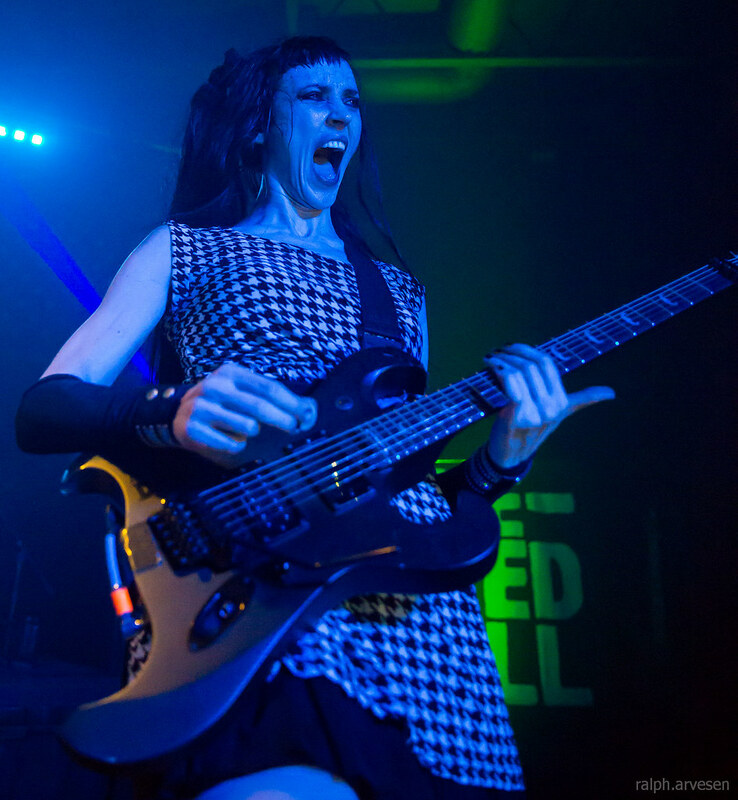 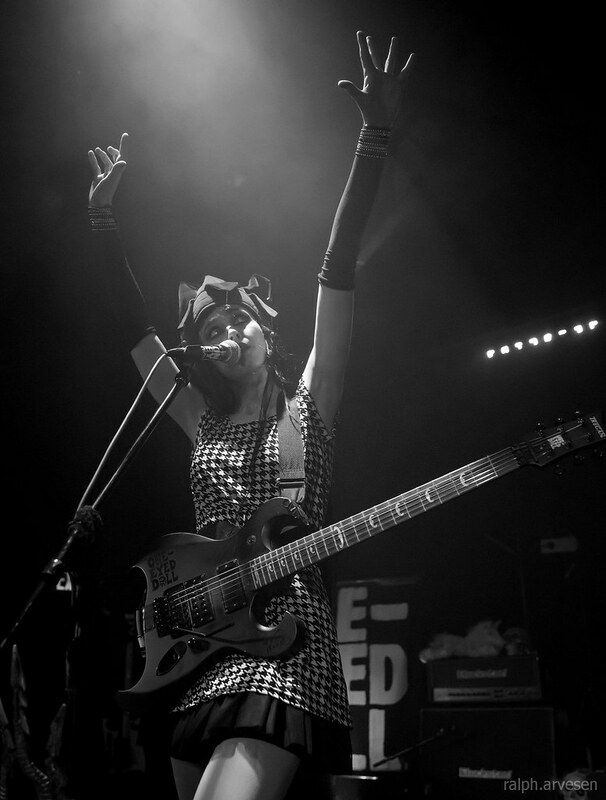 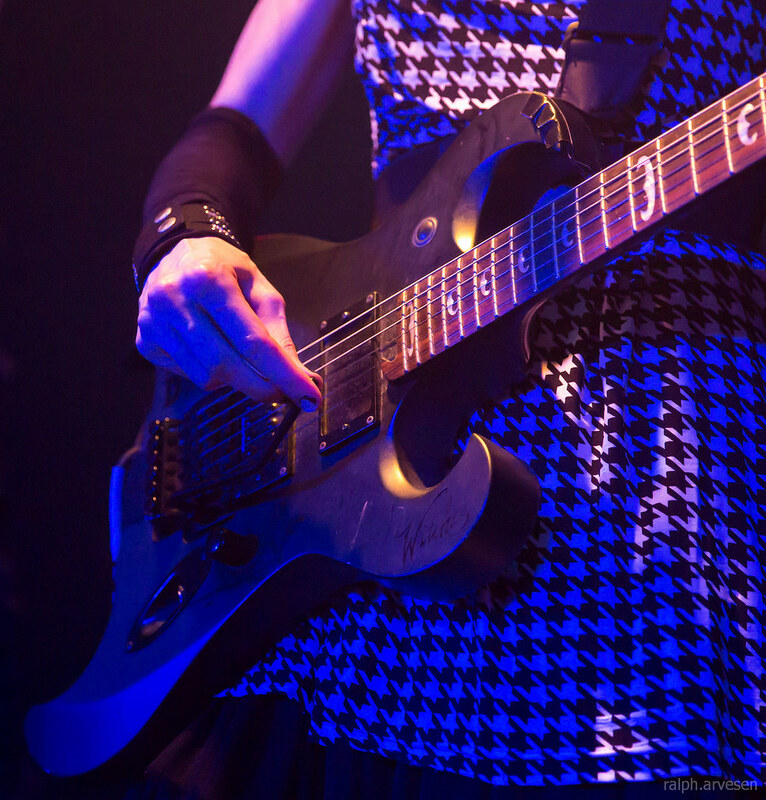 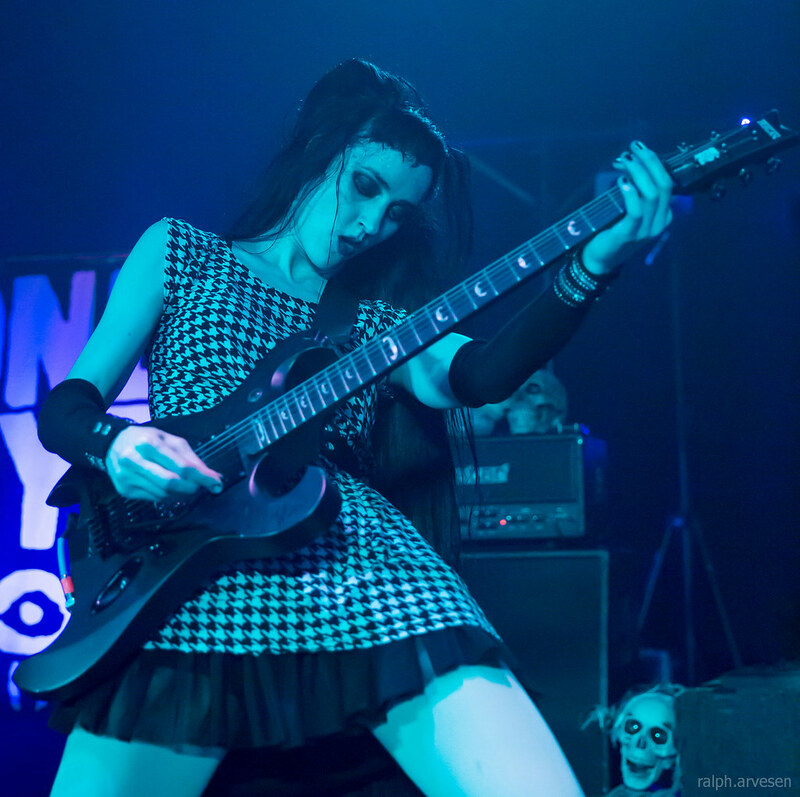 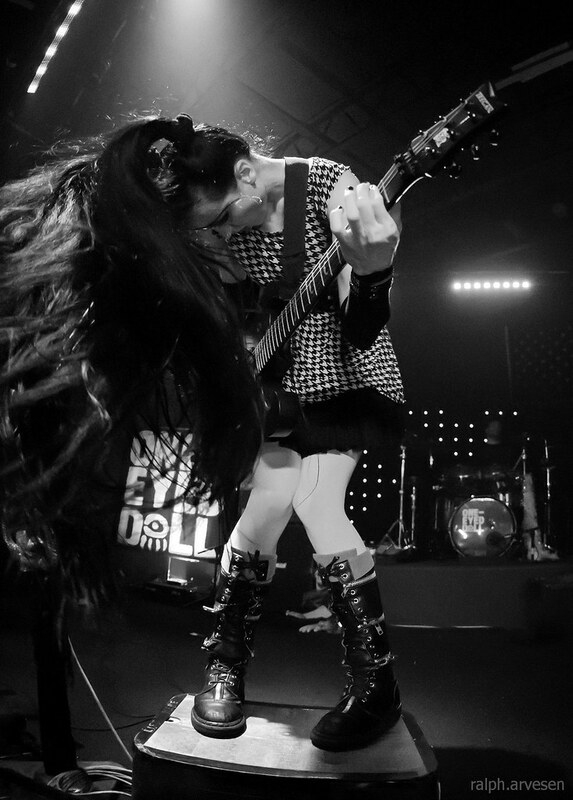 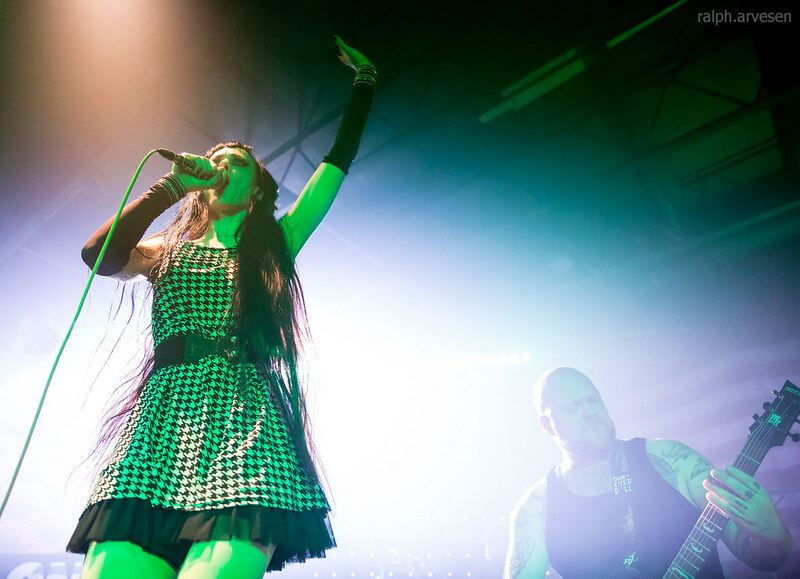 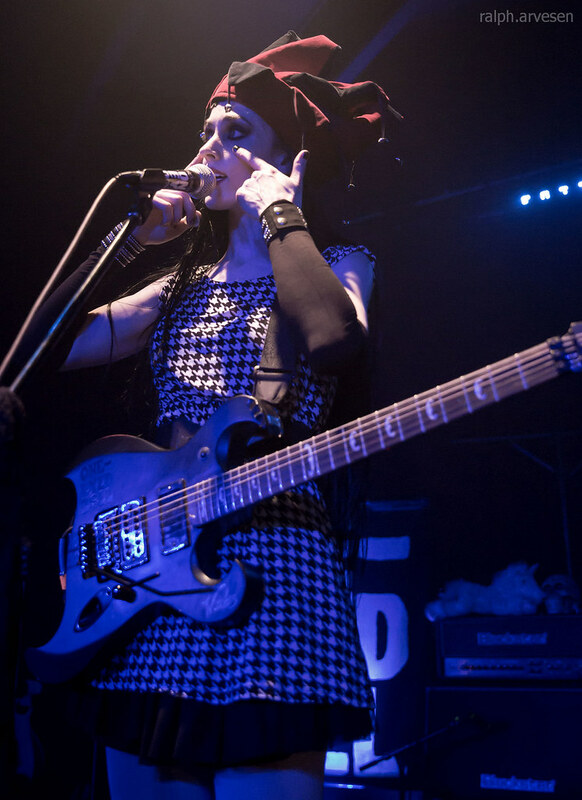 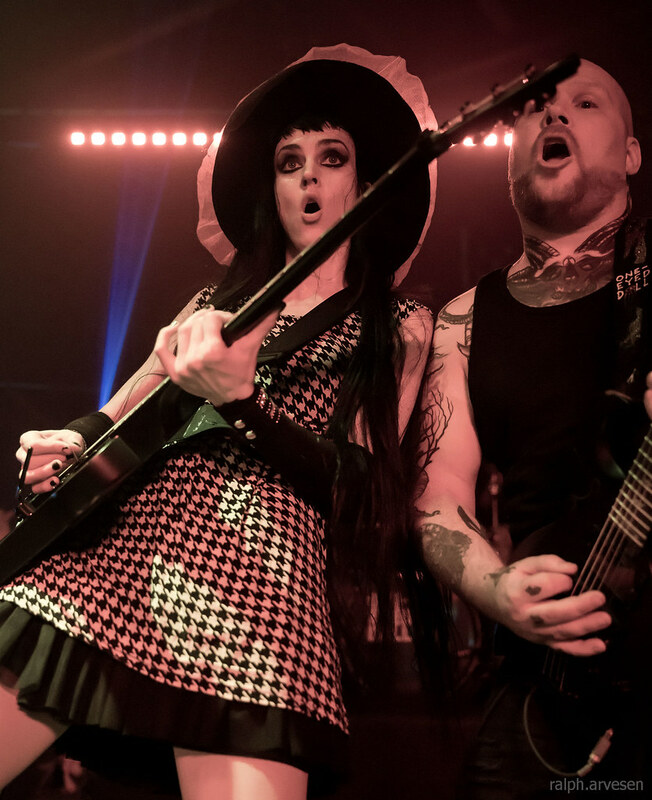 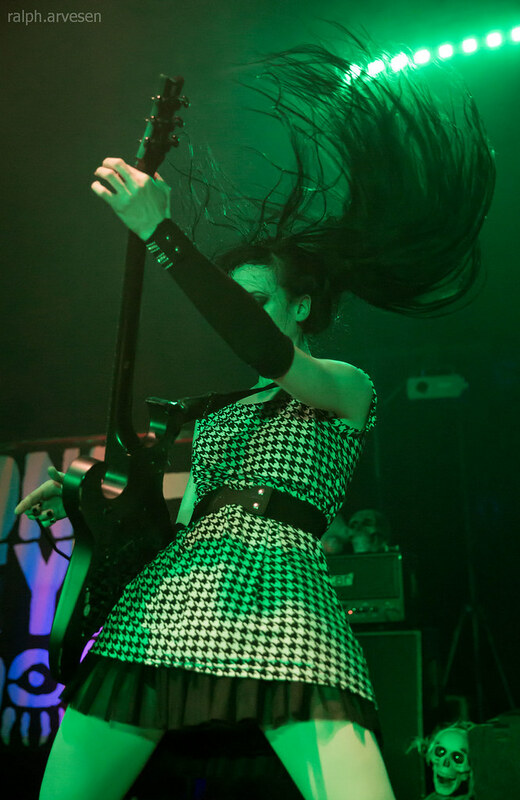 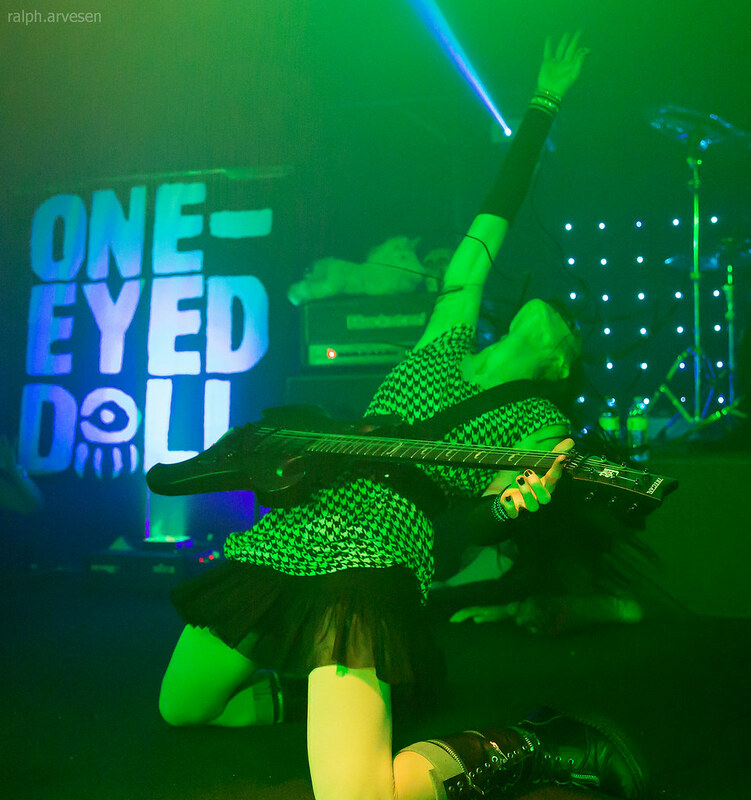 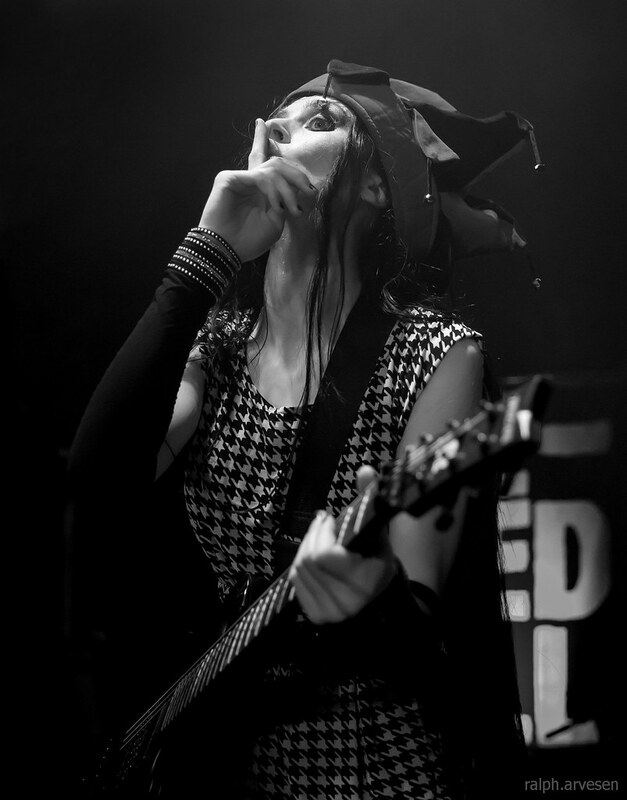 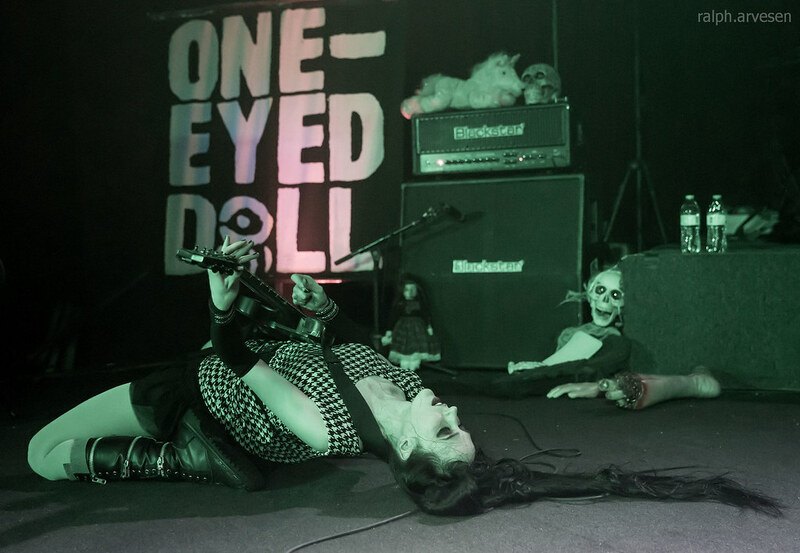 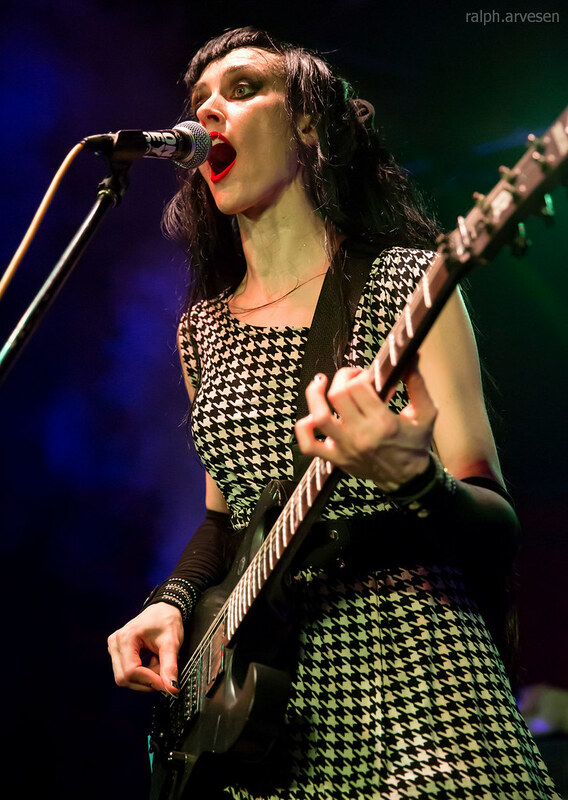 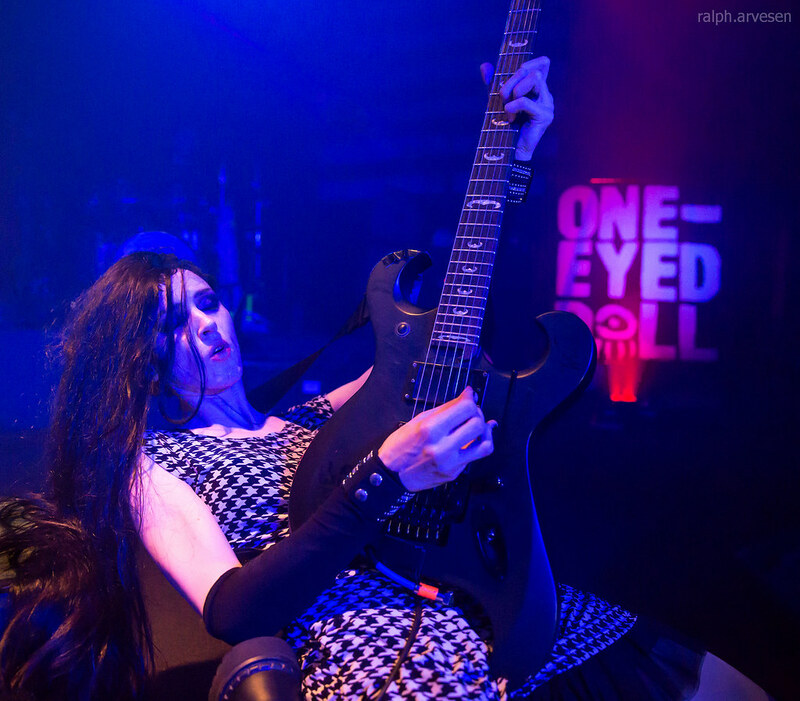 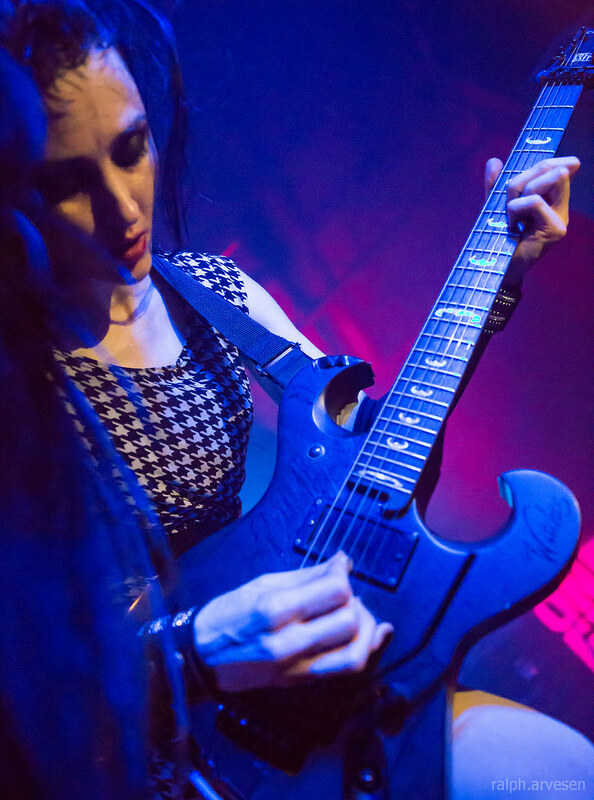 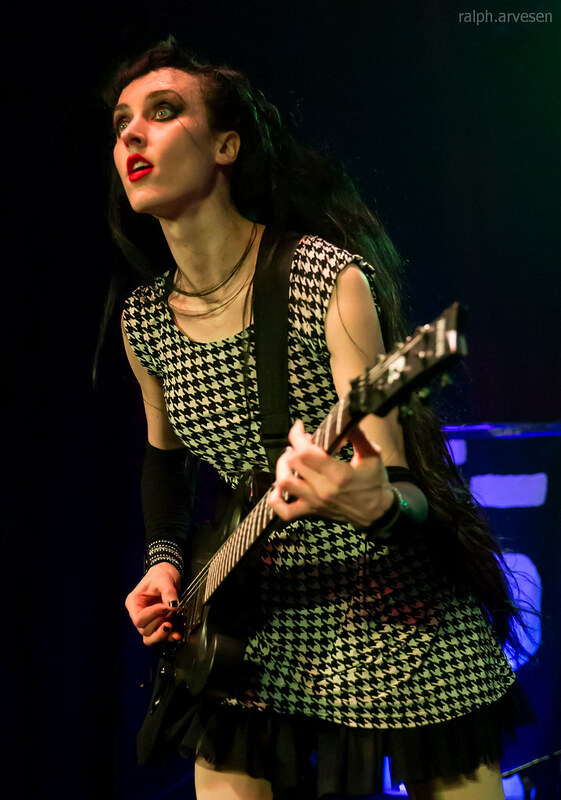 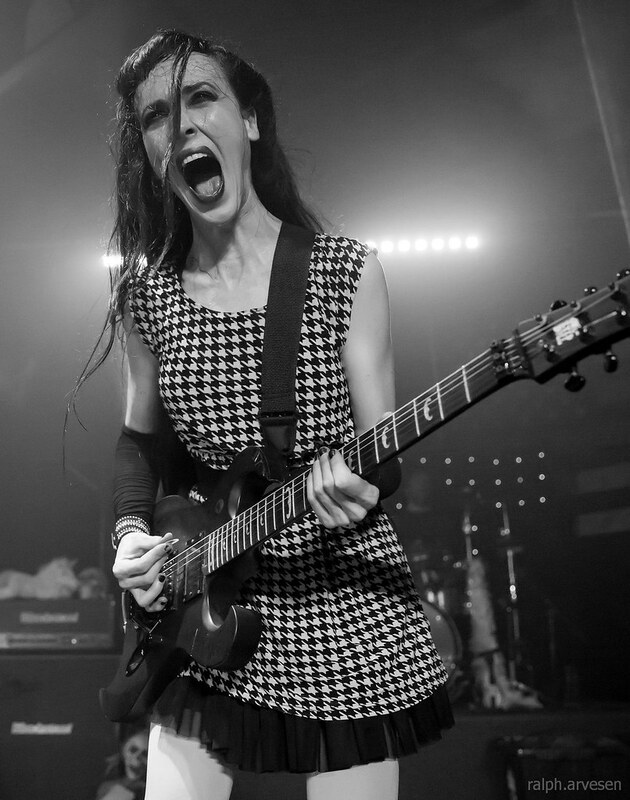 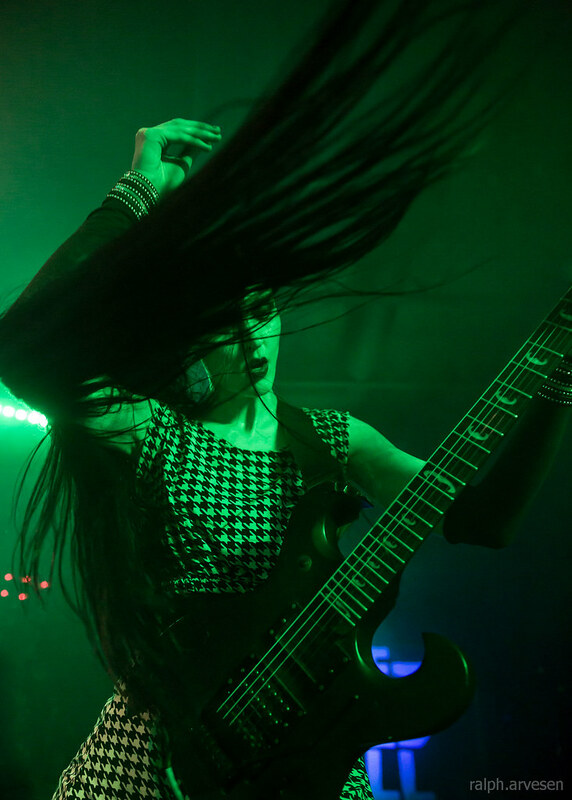 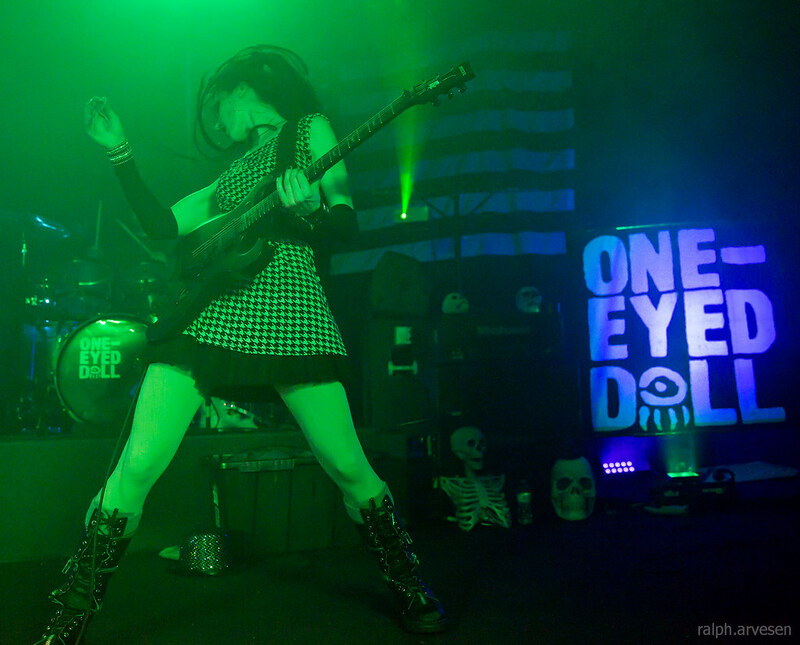 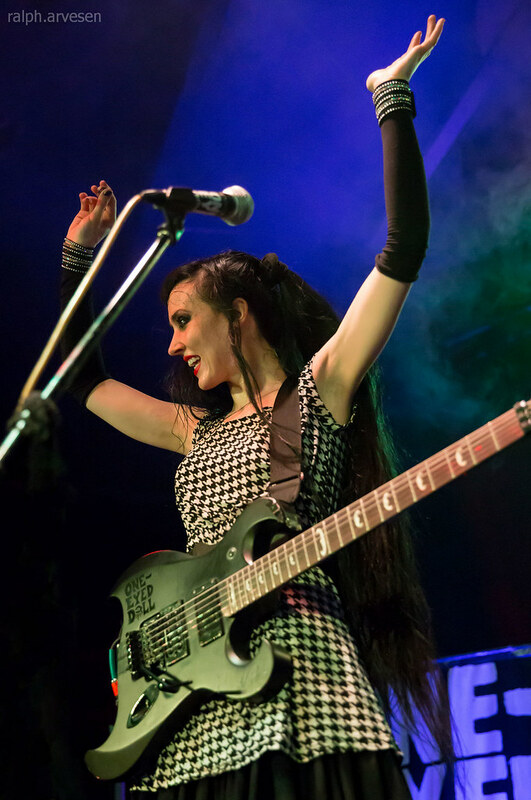 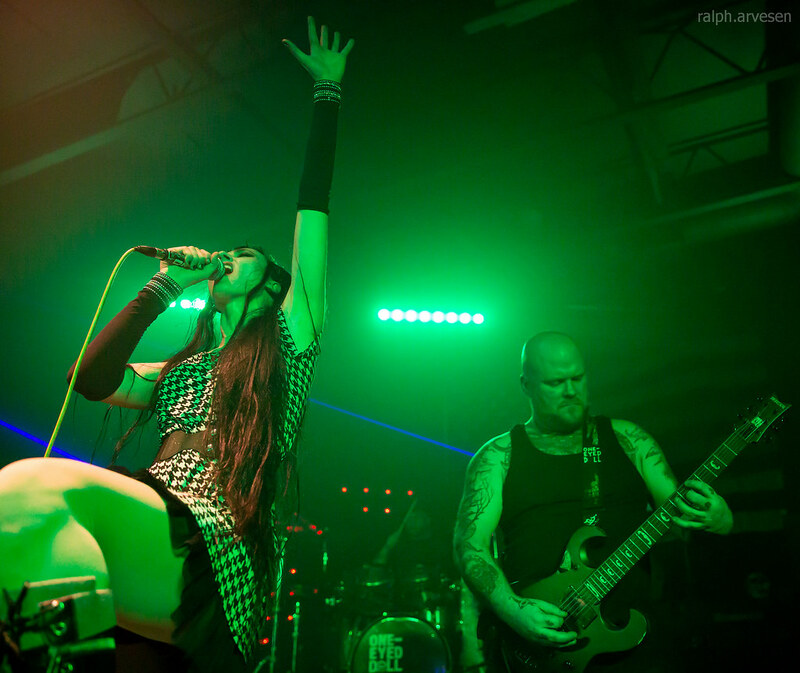 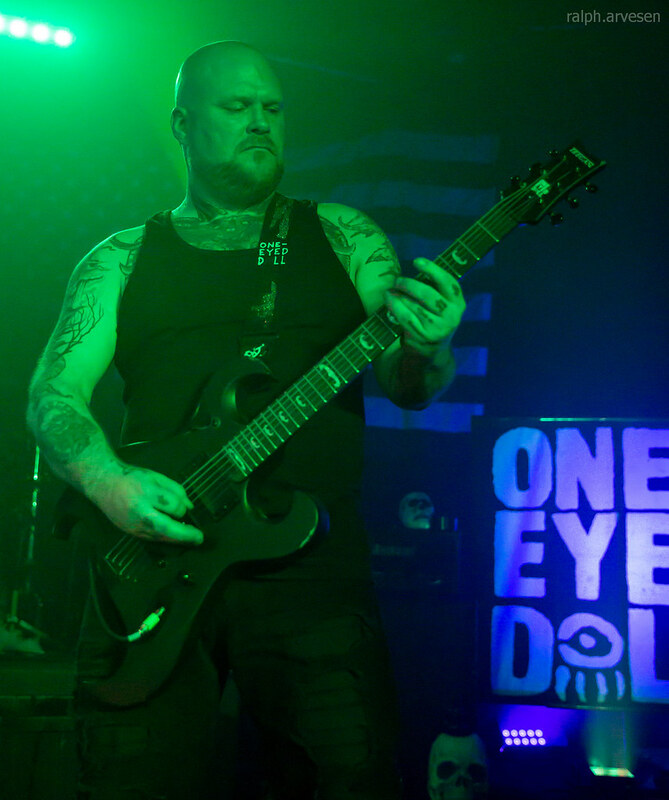 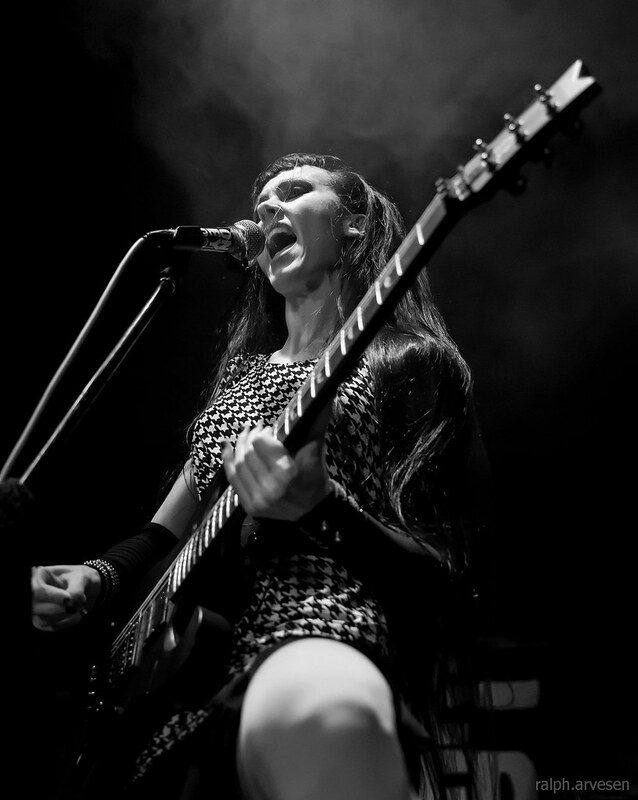 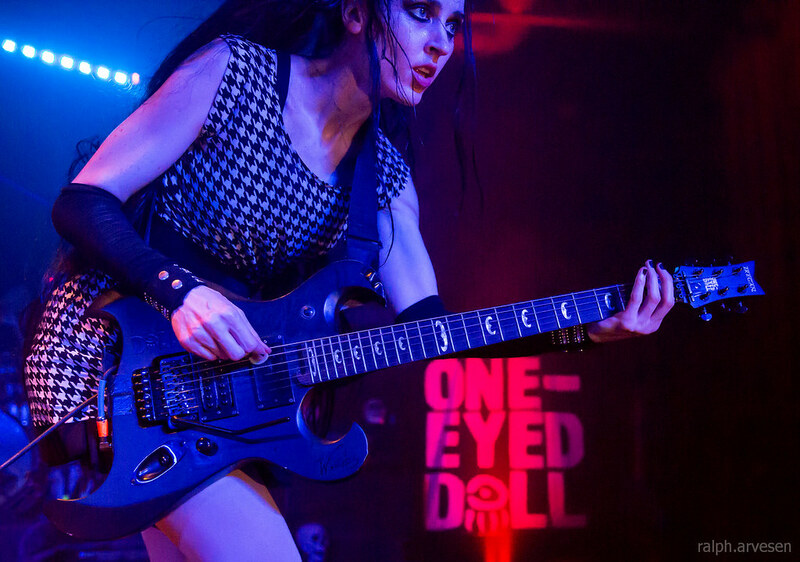 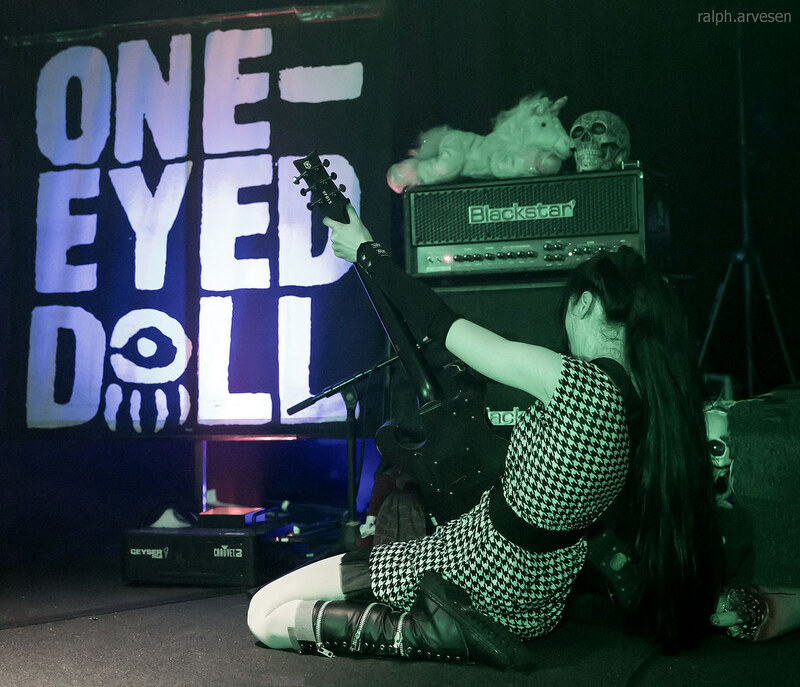 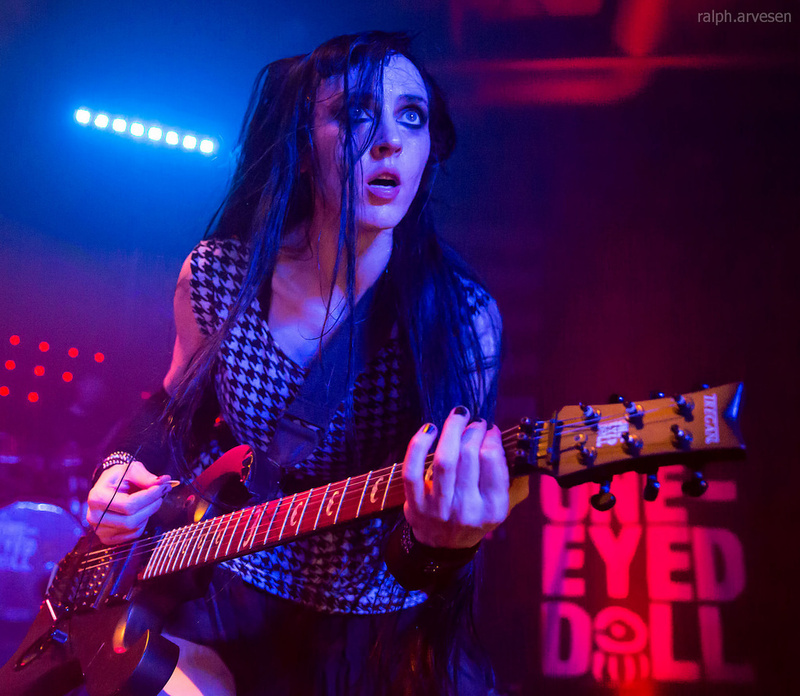 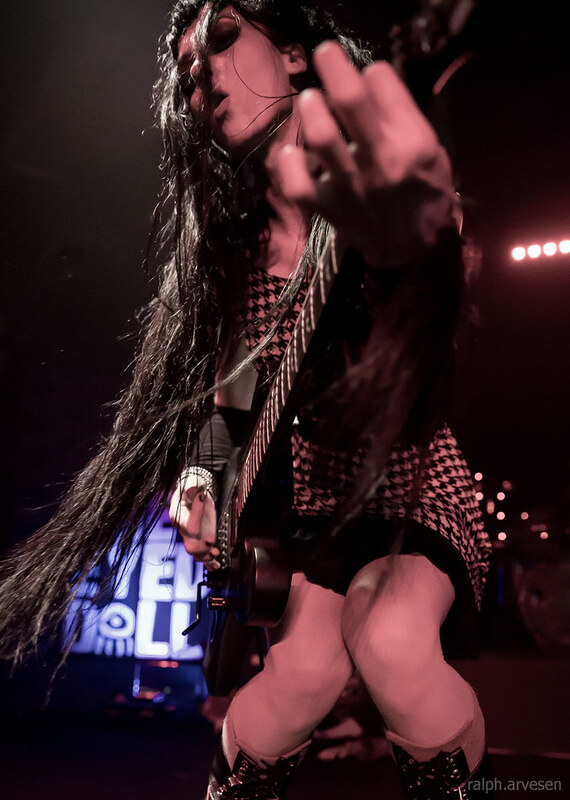 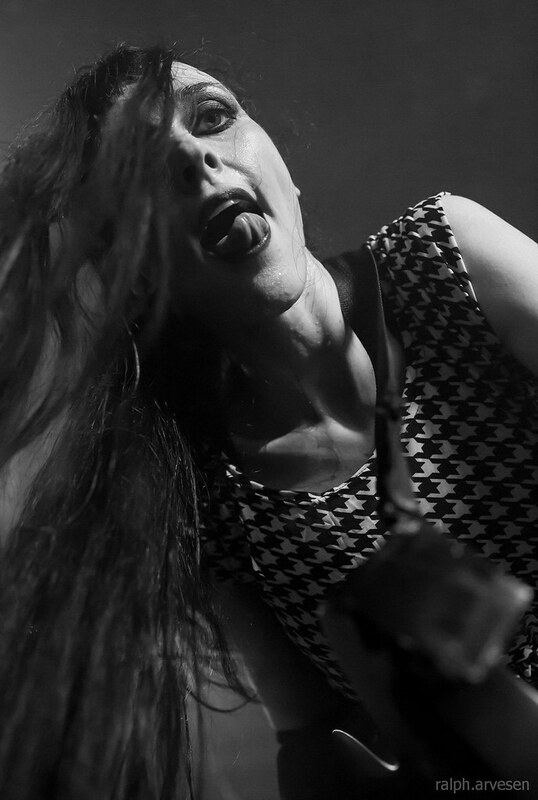 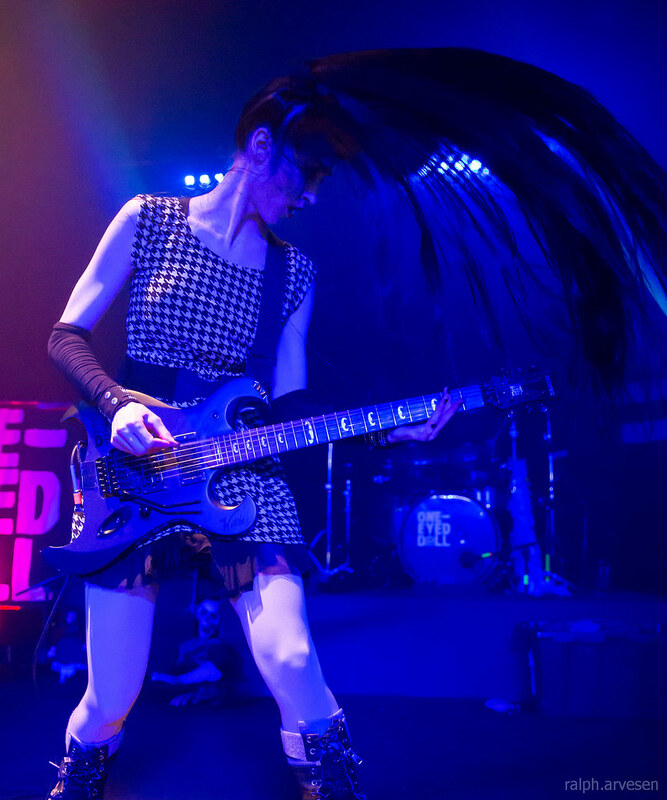 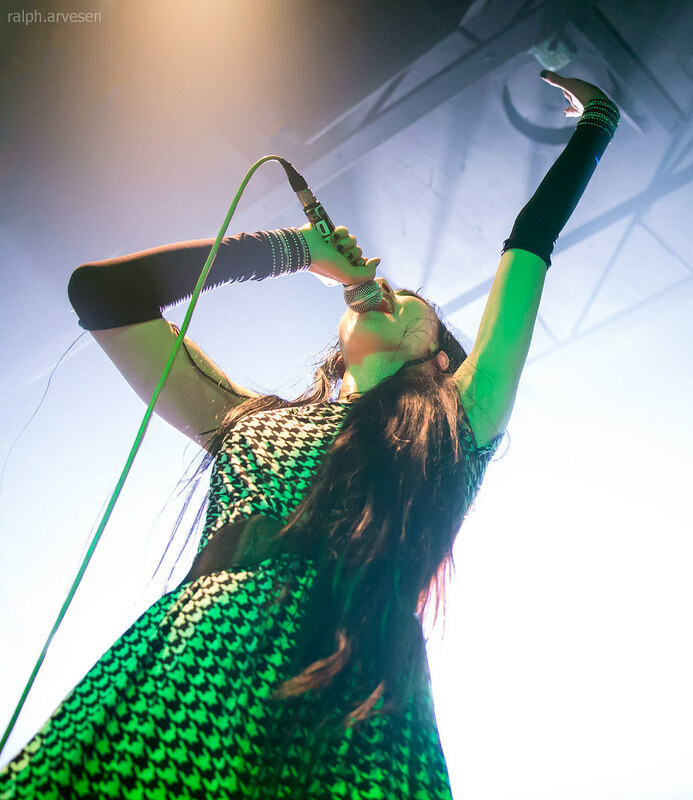 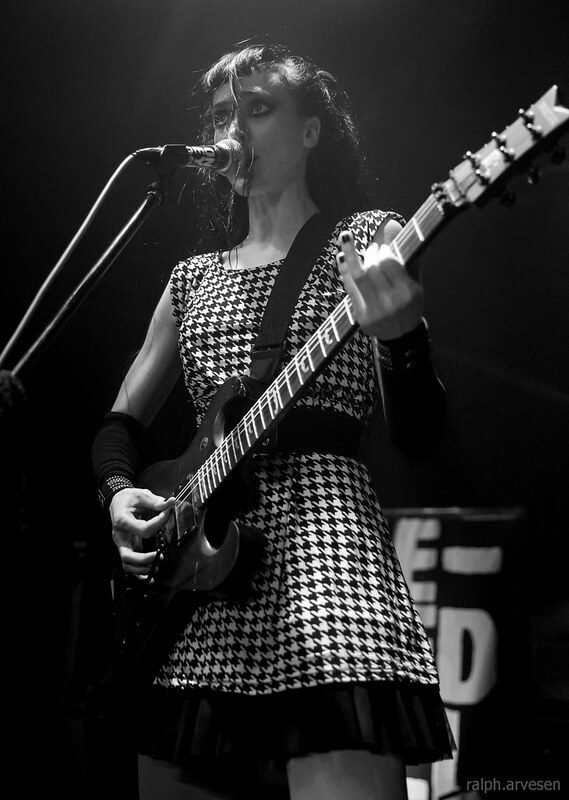 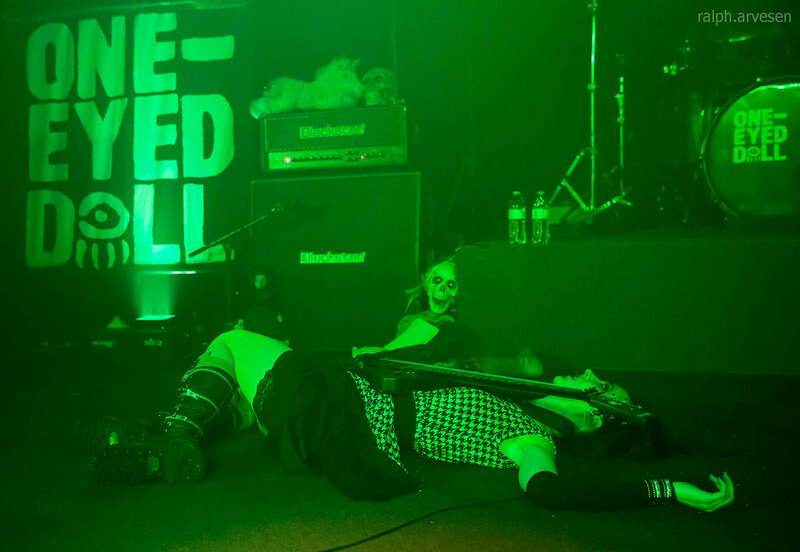 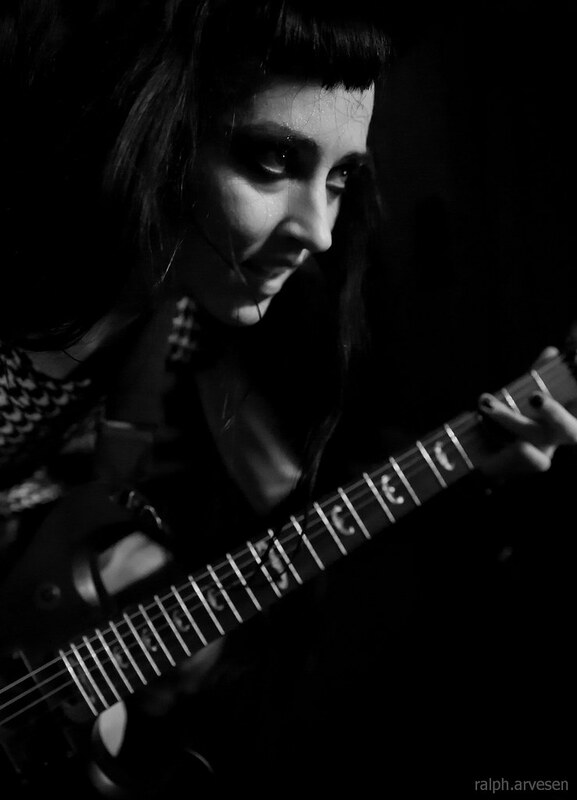 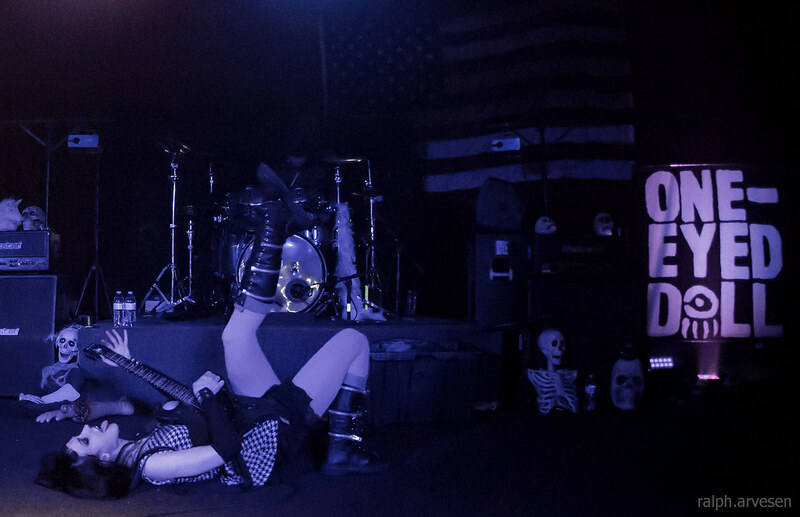 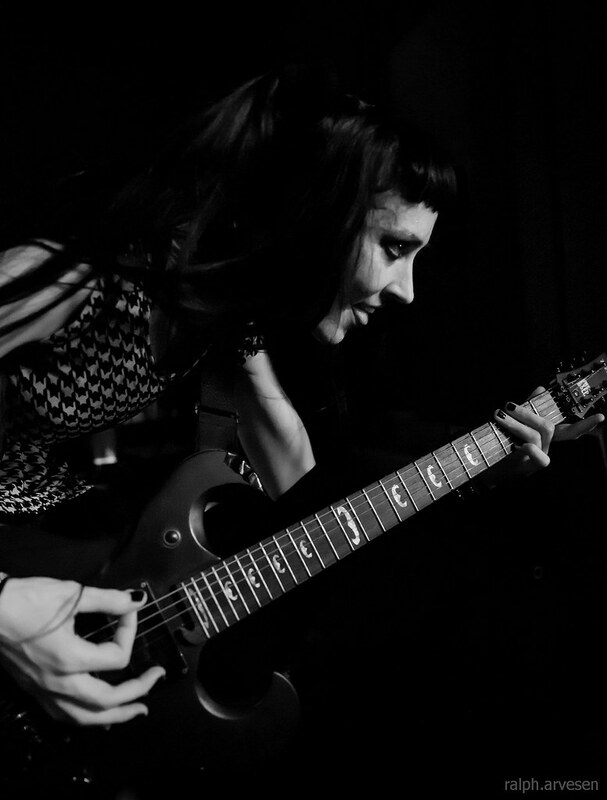 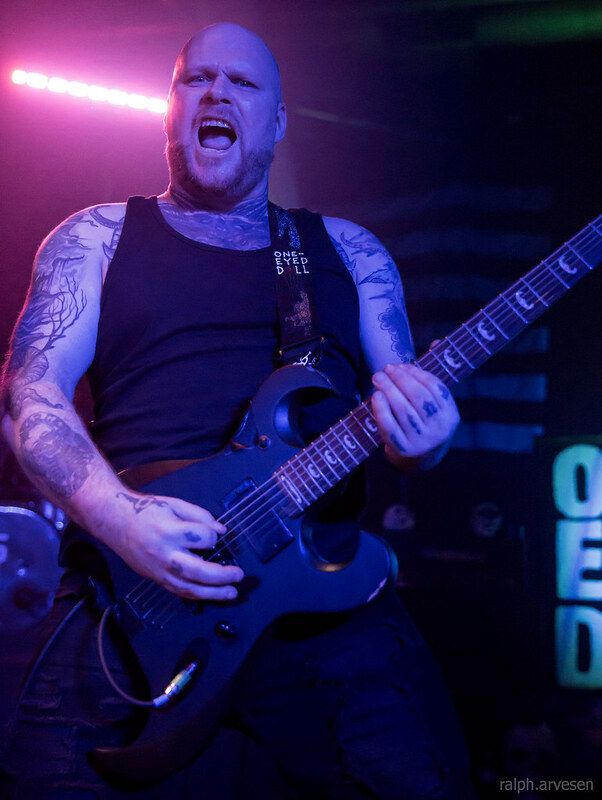 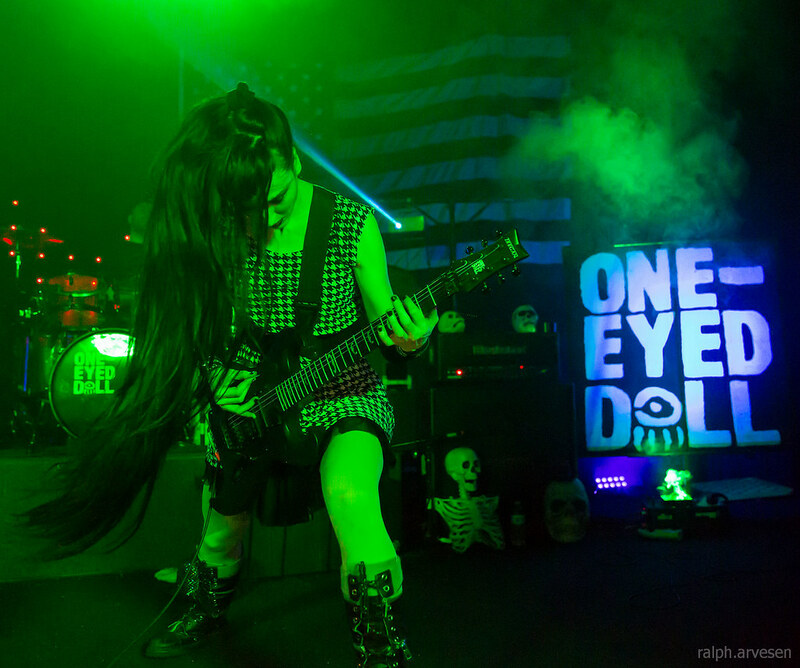 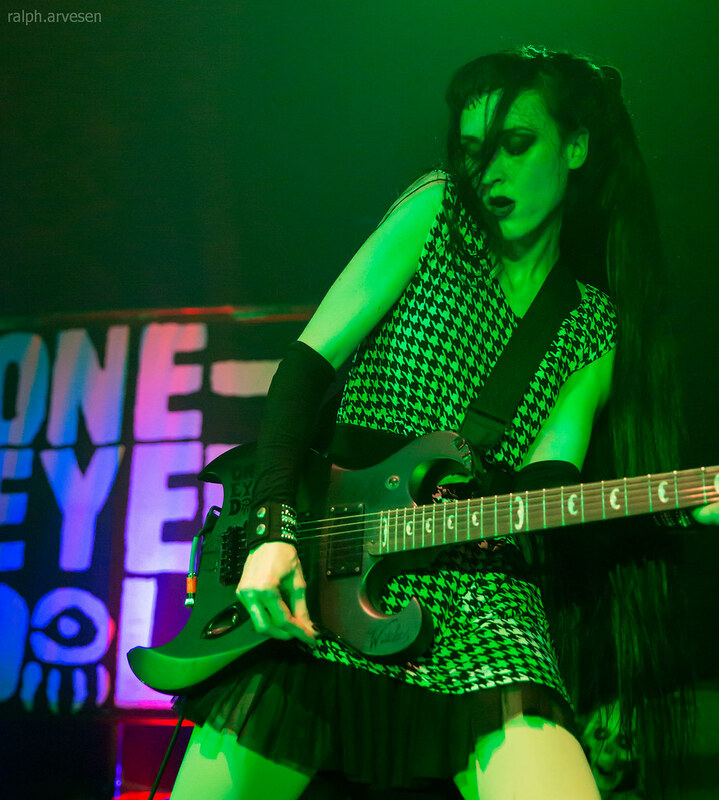 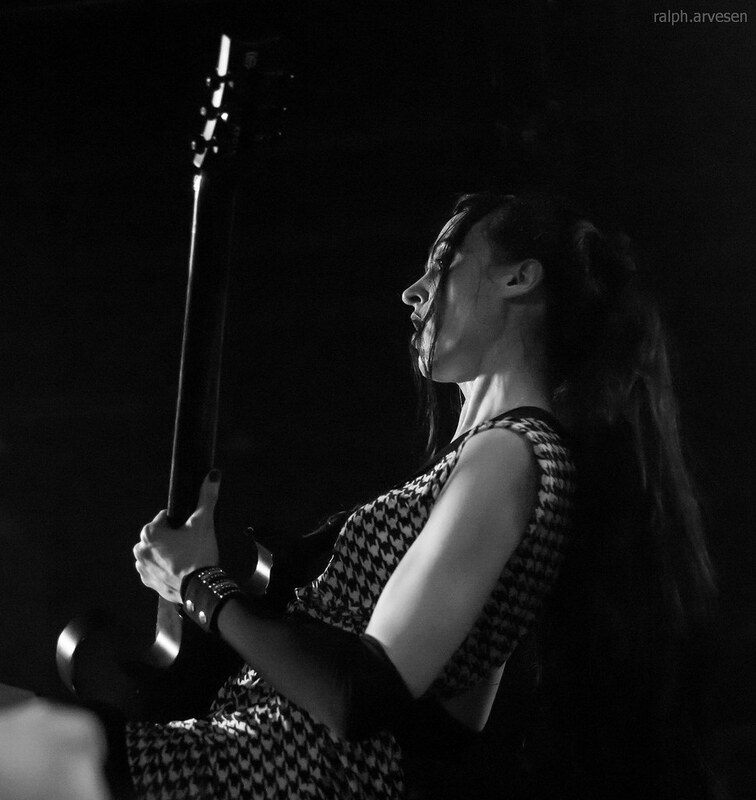 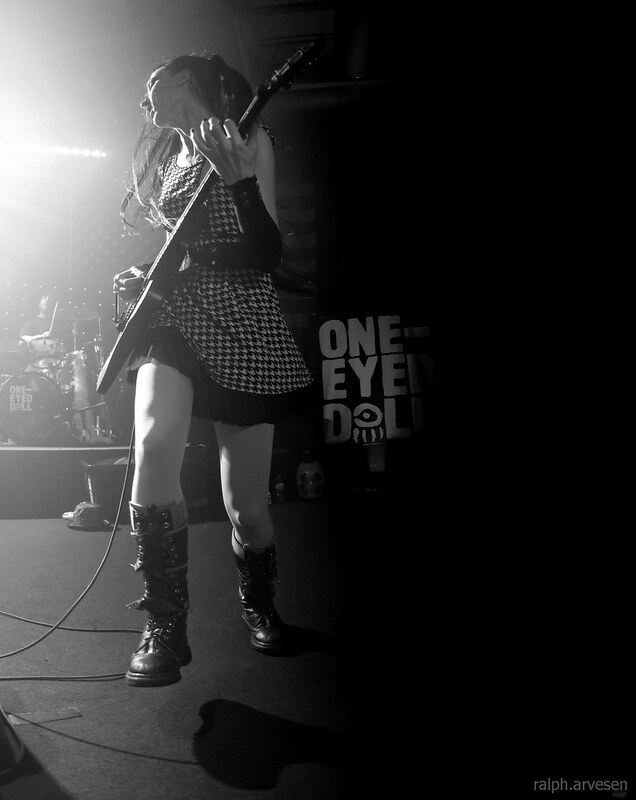 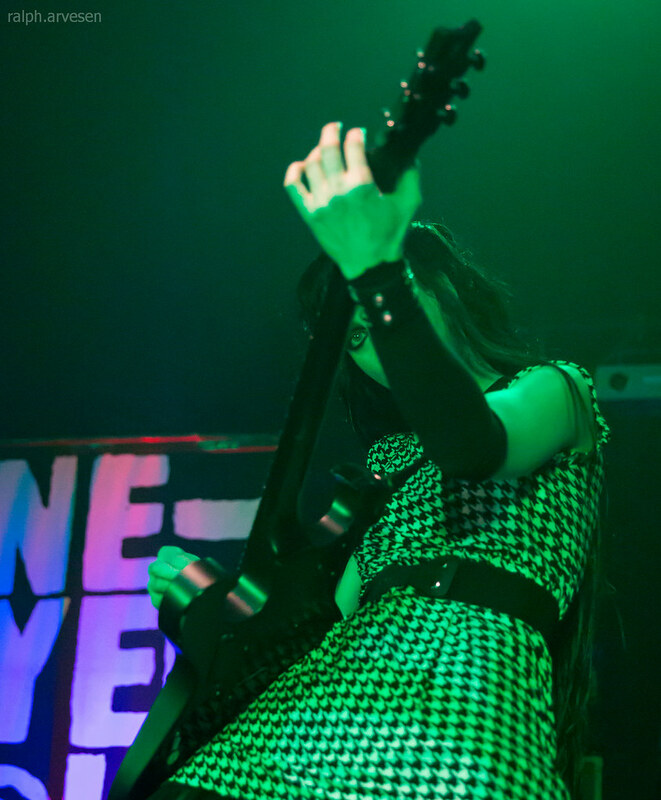 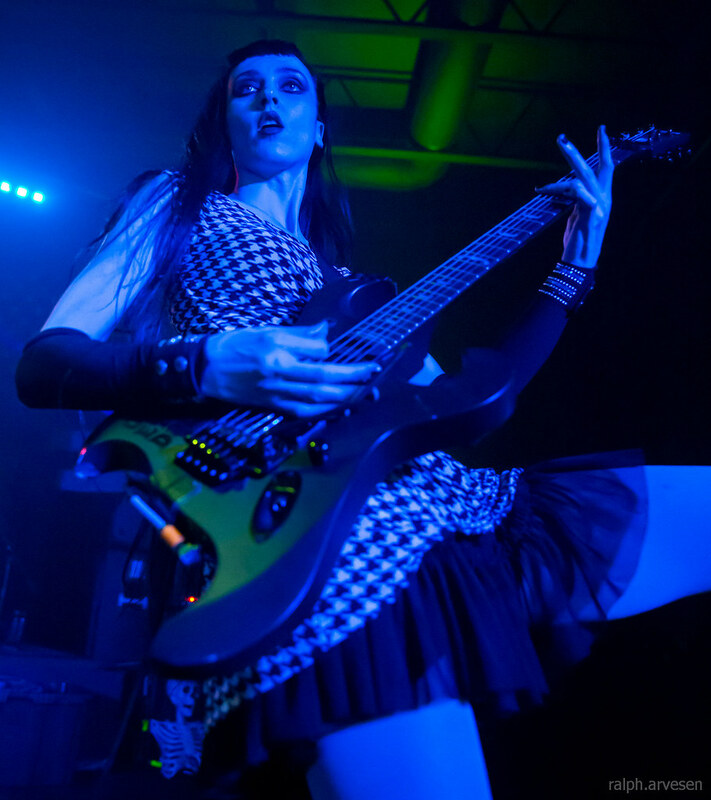 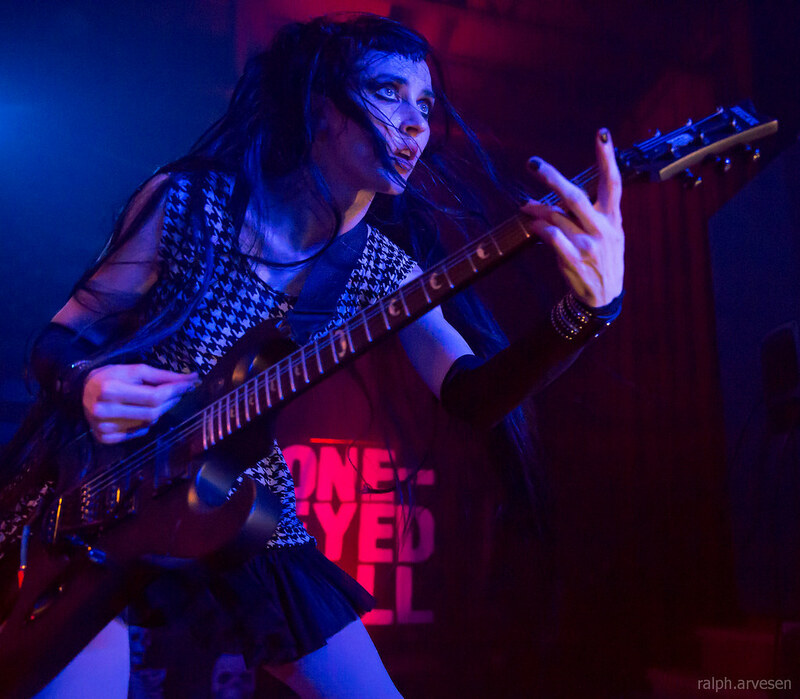 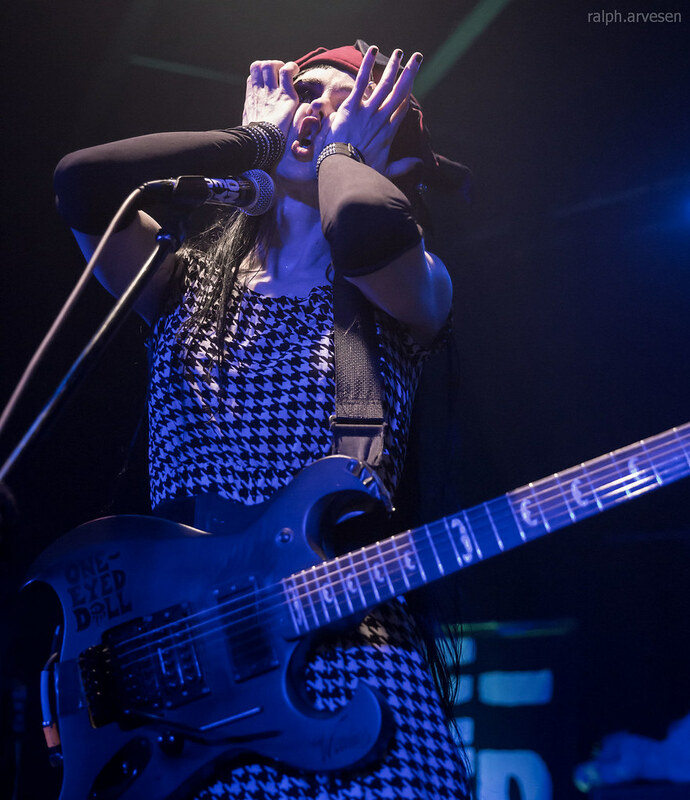 One-Eyed Doll performing at Fitzgerald's in San Antonio, Texas on April 21, 2016. 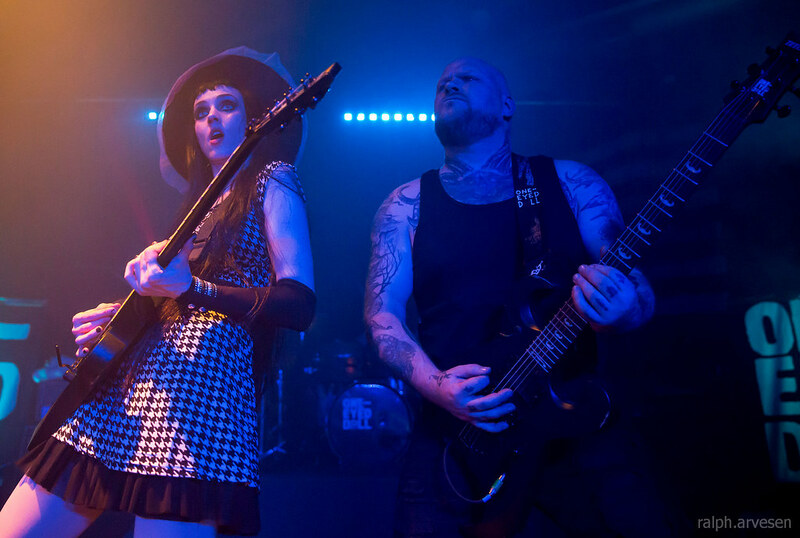 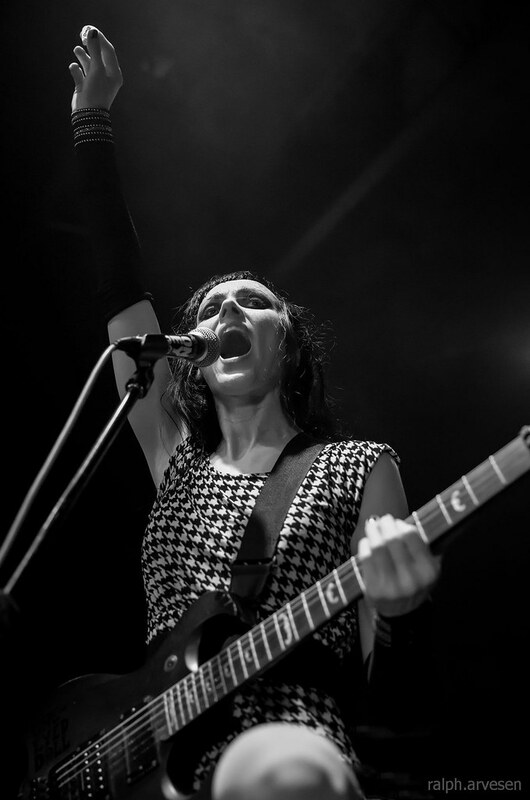 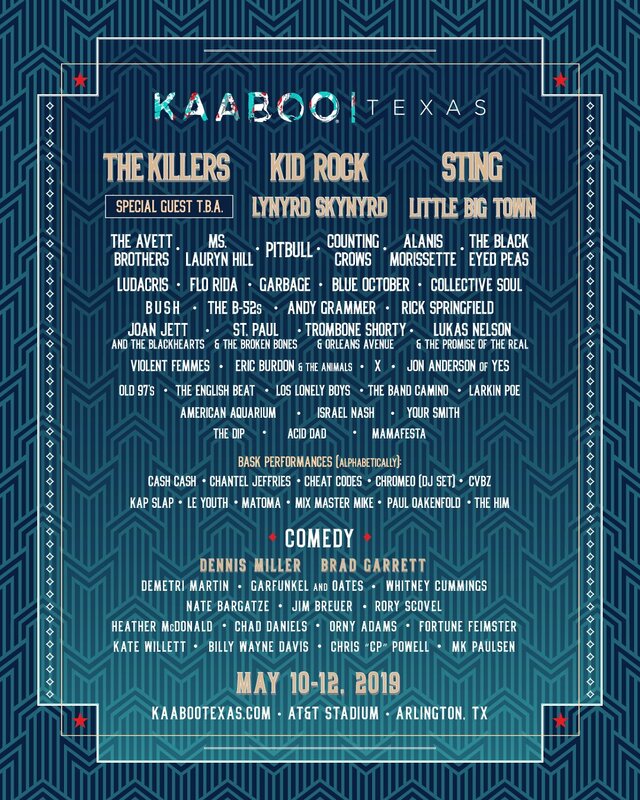 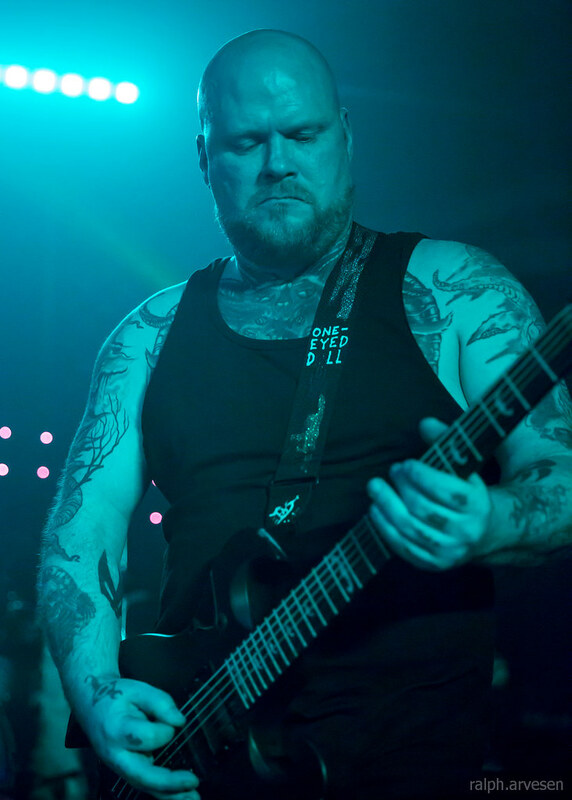 Band members include Kimberly Freeman and Jason Rufuss Sewell. 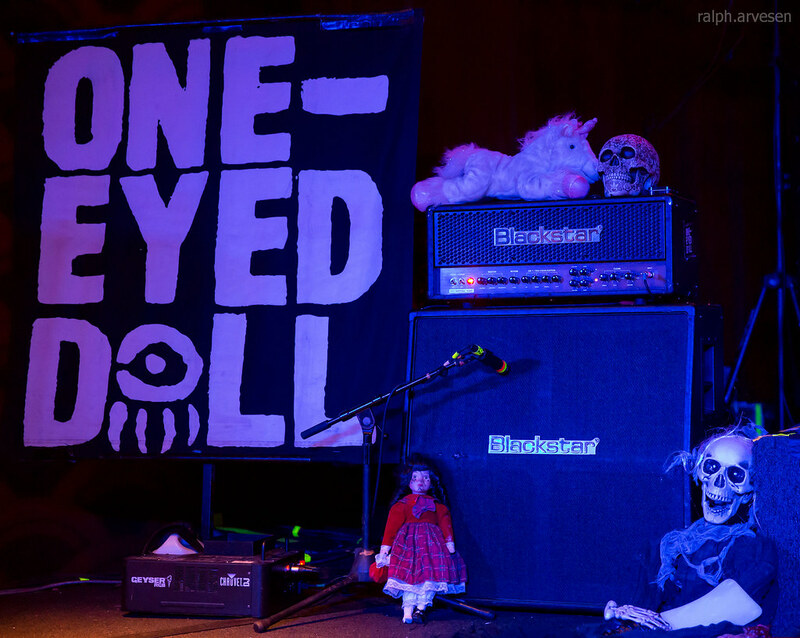 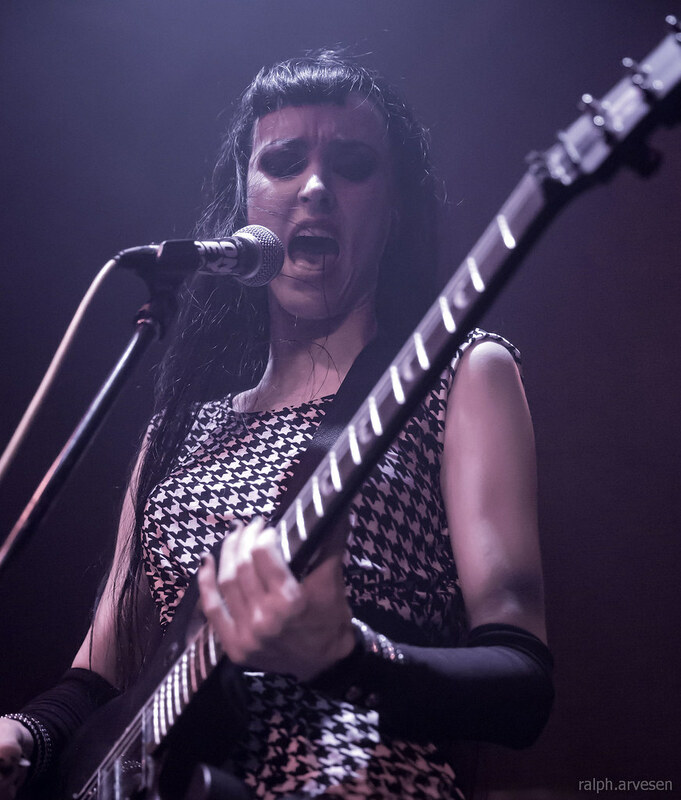 One-Eyed Doll was the co-headliner along with Eyes Set to Kill with support acts Open Your Eyes, Vagenda Satx, and Celeste'al Descent. 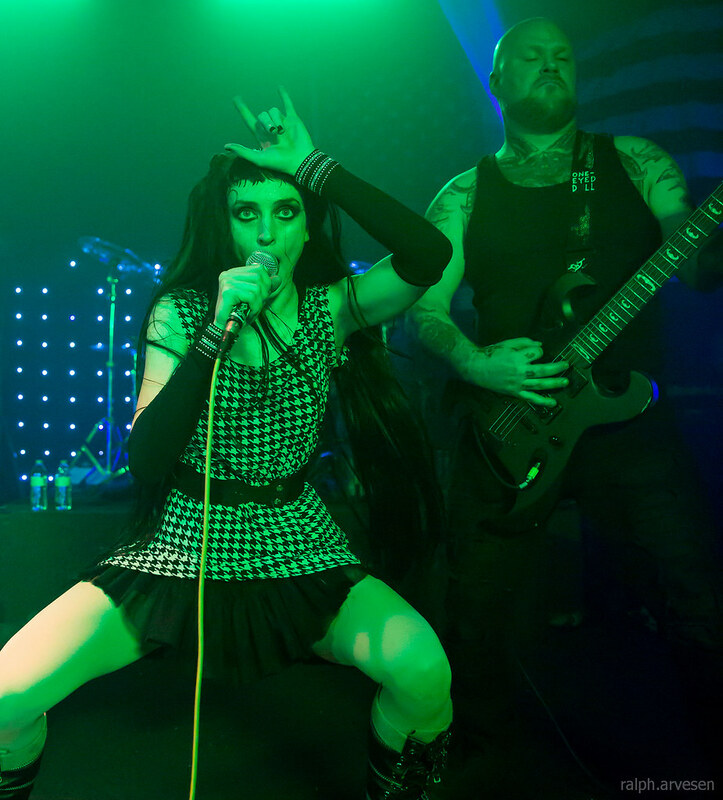 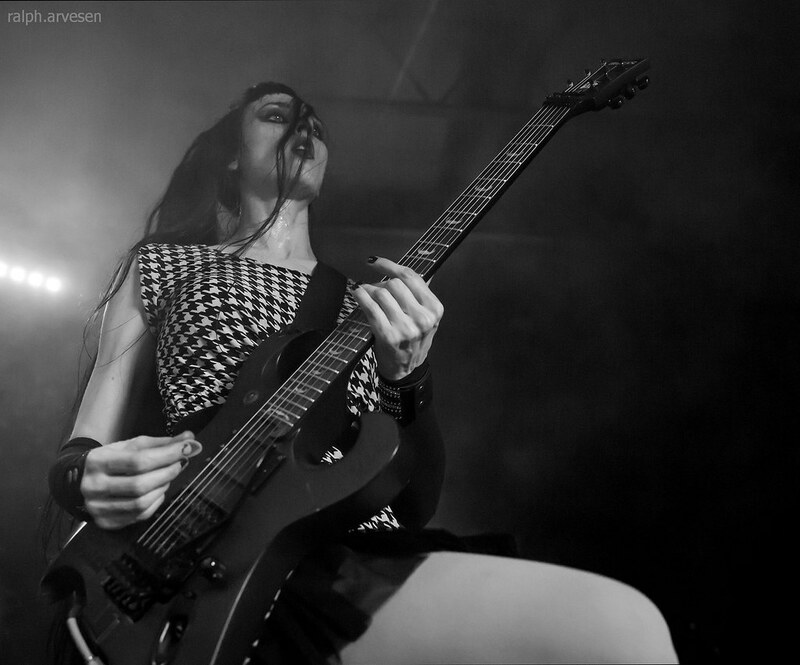 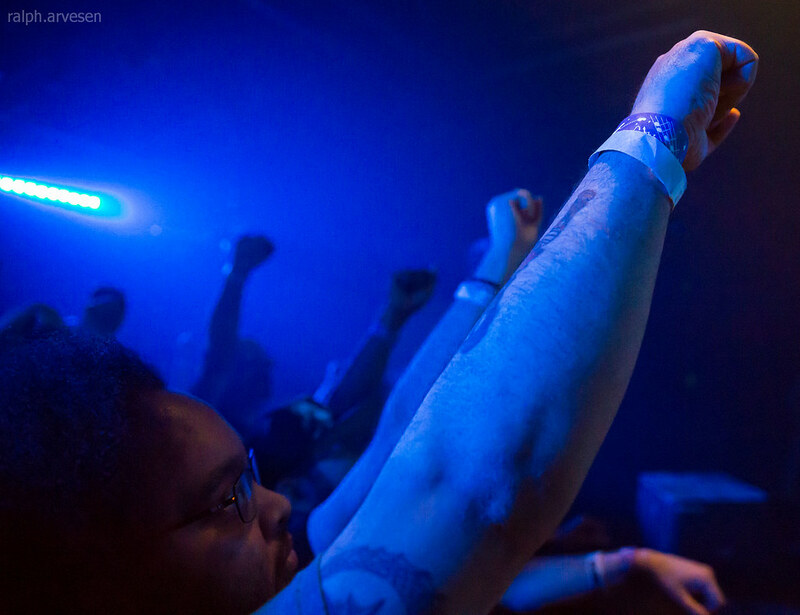 The tour started at the The Loading Dock in Salt Lake City, Utah and ends at The Boardwalk in Sacramento, California.